Grab your shovels and check for necessary safety exits because A (or B) is back! On March 20 the highly anticipated Pretty Little Liars spin-off which has Marlene King at its helm, two of their spunky alums, Alison DiLaurentis ( Sasha Pieterse) and Mona Vanderwaal (Janel Parrish ) in a new, yet seemingly charming backdrop that is sure to bring its own set of twisty tales. Pretty Little Liars: The Perfectionists is a re-envisioning of the titular duology, written by Sara Shepard, who brought us the precedent to this new spin-off. While the series will take the same diverted path from the books, they chronicle the lives of five girls with the common thread of striving to be perfect. But in order to be perfect, one must be fit for a good alibi. Something we surely do not need as we dust off those in-depth Tumblr theory blogs we once shelved and get back to re-theorizing. However, if you are a red coat away from doing so, here are five reasons why we are sure you will be speculating from the get-go, too. Overachieving students may be the selling point for the town of Beacon Heights but as we have come to expect good grades will be the least of their worries as the series pushes them to pencil-breaking points. Spellbinding Descendants’ star Sofia Carson is set to play Ava Jalali, who is the head of the pack concerning the lineup of suspects in Nolan Hotchkiss’ (Chris Mason) murder. Following closely behind by zombified Sydney Park (Caitlin Martell-Lewis), and Graeme Thomas King (Jeremy Beckett). How will be the gaping hole of our wine moms be filled? By Gossip Girl’s Kelly Rutherford who already knows a thing or two about social media bullies and the illicit love affair. As mentioned, it is not a King and Shepard joint venture without a presumed dead body found in the back of one of our liar’s cars (season five, anyone?) No matter what King says the possibility of Nolan being alive will still be stored in the back of our mind’s but there has not been any evidence as of yet. In typical PLL’s fashion, Alison is seen standing alone as the body is carried away by ambulance and then, in a not so shocking display of events, receives a text message from the grave. As she questions Mona who has carried her fair weight in a plethora of ploys if she is the murderer, the game of cat and mouse begins. Although A is the OG, toothy necklaces, explosions and waking up, trapped in a makeshift coffin will look tame in comparison to what the new set of liars are about to deal with. Not only has the series graduated from high school, Alison has traded in her take over of the Rosewood’s hallways to Beacon Heights’ teaching board in a five year jump. But its fans are now almost all in their mid-twenties meaning there is more of a ballpark to play in. This is exciting because all of those theories that were a little bit darker – mostly Aria Montgomery’s split personality – have the possibility of being explored. Despite its escapades having us devour our popcorn for hours on end, it will only be a very short ten episode run in comparison to the 22 episode slate fans are used to. This means a much tighter narrative set at a fast moving pace that may not have enough room for all of those steamy shipper scenes. Don’t fret as there will still be plenty for us to gush over. We will just have to think fast on our feet in order to sleuth all the clues until it eventually ties together. Or you know, ends on yet another soul crushing cliffhanger. If there is anything PLL kept in fashion, besides the liar’s killer wardrobe that made their peers clearly more than envious, it is that theme song. Revolutionized for the new series, it is still within those first few lyrics and now harmonizing of a choir chorus where we are reminded that we are one step away from landing ourselves back in Radley. 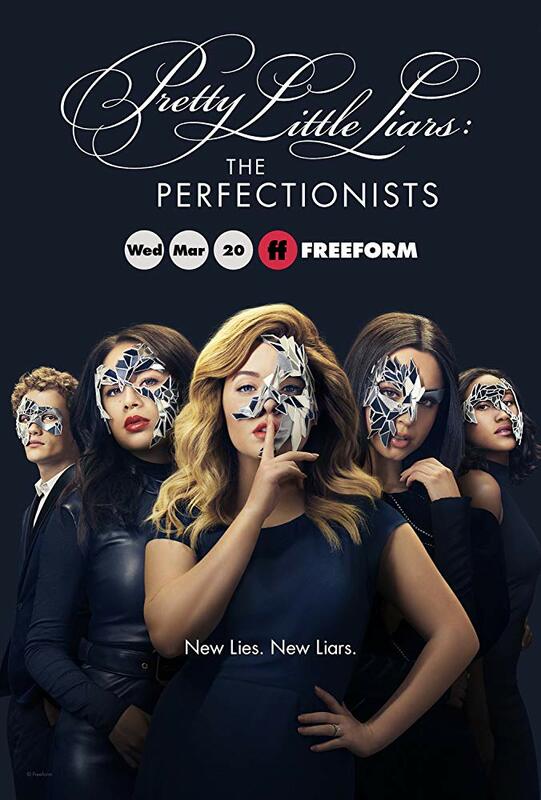 Pretty Little Liars: The Perfectionists will air on Freeform on March 20.